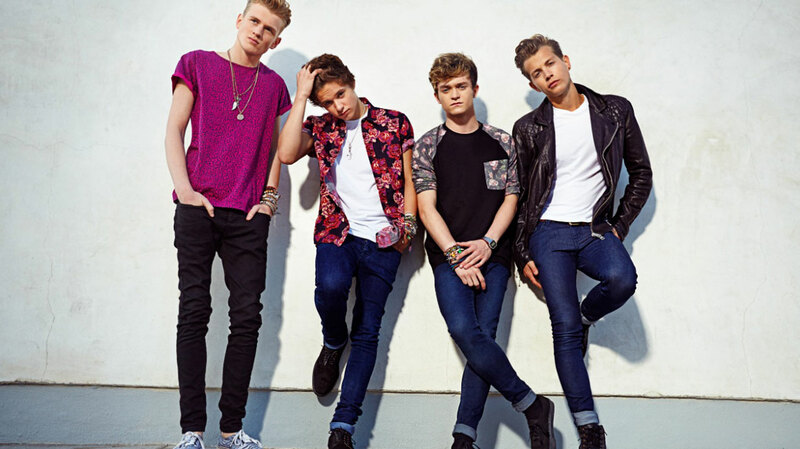 Off the back of another hectic year of touring – including support slots with McBusted and Ed Sheeran – The Vamps are back with their second studio album. We caught up with the British pop-rockers to discuss Wake Up, new BFF Brooklyn Beckham and the band’s plans for 2016. Hi guys, can you tell us about your new single? 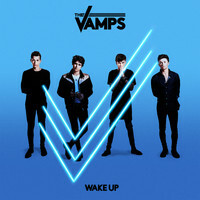 ‘Wake Up’ is the first single off our second album, which is very exciting for us. There were a few songs we wrote before it, but this one was a real indicator of what we wanted things to sound like on the second album. It paved the way for the rest of the songs and the overall sound, which is a bit more synth-y and a bit more epic-feeling in the drums, but still fun. ‘Wake Up’ is meant to be a fun song. The sentiment is about being there for a girl and wanting her to wake up to that fact. We just hope people enjoy it! You’ve got a special guest in the video, right? Brooklyn Beckham? It’s amazing to think that people know the words to the song that we wrote in our bedroom when we were, like, 15. Well, we met Brooklyn at a gig two years ago, and exchanged numbers, and we kind of made friends in the meantime. And then we had a young male role coming up in our new video, and we thought we should invite one of our friends. Brooklyn was the first person we invited and he was up for it. It was great, because he happened to be in LA at the same time. He’s never done any acting before, so good on him for going outside of his normal comfort zone. He smashed it. A lot of the YouTube comments mention how well he seemed to fit in. Will you let him become the fifth member? Well… We were gonna announce it, but you’ve just ruined the surprise! So , you’ve only been together just over two years, and you’ve already got millions of fans. Does it all seem real yet? Well it’s crazy, because it seems about 10 years ago that we released our first album, but then when we think about all of the stuff we’ve done in the last year-and-a-half, it’s kind-of flown by. There’s a bit of pressure for the second album, just for the fact that we want to keep the fans happy. We’ve been very adamant to not completely change our sound and alienate the people who liked our first album. So yeah, I think it’s absolutely amazing. We’re blown away by the fan support over the new song, and we hope they like the album. When we’re on stage and people sing back the song, that’s one of the best things, especially when we go to other countries. Like Bahrain, for example: we went there this year and people in the crowd knew the songs. I think that’s something that we’ll never get used to because it’s amazing to think that people know the words to the song that we wrote in our bedroom when we were, like, 15. Yeah, that’s one of the most rewarding and satisfying things that you can have if you’re a musician. And it’s obvious that you guys are actually genuine friends. We try. We make it look that way... No, we do get on really, really well. It’s nice to be in a band and have that camaraderie. It’s especially important during difficult times. We understand you guys lost members of your team during the Paris attacks? Yeah, we knew Thomas and Marie very well from our French label. And, in fact, we were having lunch with Thomas two-and-a-half weeks ago, so it was a massive, massive shock. It’s such a tragedy that the attack happened, and I think the whole world is shocked. But we think it’s really important for everyone to just look out for each other at the moment, and recognise that the world’s in a bit of a precarious situation. It’s really important to just have the morals of love and respect and being there for each other. We’re certainly very much in shock about what’s happened and, yeah, we’re trying to be there for as many people as we can. Are you taking some well-deserved time off for Christmas? What are your plans? Family time, just chilling: having a turkey and sitting by the fire. In boxers. And a dressing gown. No early mornings, lots of gin. Have you bought your presents yet? Surely you’re famous enough now that you have someone who goes out and does your Christmas shopping for you? Do you buy each other presents? Umm, well we would but we’re not very organised so I think we all agree not to. But not because we don’t like each other, just because we’re off until the 20th so we have no time to go shopping. And then we don’t see each other for three weeks. You have the gift of friendship, that’s all that matters. And what about New Year’s Eve? It’s a hard one, man, because it always gets bigged-up. You’re like, “Alright, New Year’s Eve! It’s gonna be a lively one, here we go,” and then it always ends up being a let-down ‘cause you big it up so much. You’re almost better off not planning, and then anything that happens is a surprise. What even is New Year’s Eve? You’ve got a huge arena tour planned for next year. How are you feeling about that? Very excited. I think touring is our favourite thing. I mean, it’s great to be in the studio to make the songs but for us the songs really come to life when we’re playing them live. At the end of the day, we are musicians and we very much enjoy playing our instruments, and also I think for the fans it’s nice because it’s one of the few times that they’re able to see us live. We really look forward to it, and we’re very excited now to be going on tour. It starts in January and it ends up in the UK in April. Are there any places you’ll be playing for the first time? We’re going to Jakarta, Hong Kong, Dubai, Brazil and all of South America so, yeah, there are loads of places that we’ve never been before. But then we’re going back to loads of places we’ve played before, like Australia, Japan, and the Philippines. Lots of travelling for us next year, and it’s something we look forward to because not many people our age – certainly from our years at school – have been able to go to the places we’re going at the moment. We’re very lucky.